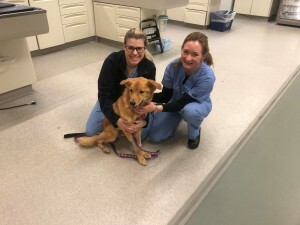 NorthStar VETS | Tales behind closed doors of a 24/7 Veterinary Emergency, and Specialty Hospital and how we are leading the way in veterinary medicine. 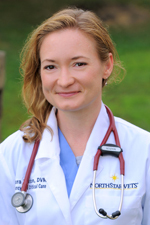 Dr. Amanda Joslin is a Veterinary Ophthalmologist at NorthStar VETS. In this blog post and video, she talks about how her father inspired her to get into veterinary medicine, the types of cases she sees, and what she loves about working at NorthStar VETS. 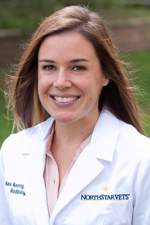 Learn more about the Ophthalmology service at NorthStar VETS. 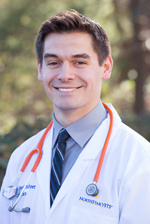 Daniel Stobie, DVM, MS, DACVS is the founder, chief of staff, and a doctor in the Surgery service at NorthStar VETS. 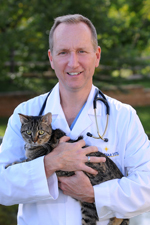 In this video, he talks about why he built NorthStar VETS, how the team is advancing veterinary medicine, and the kind of case that makes it all worthwhile for him. 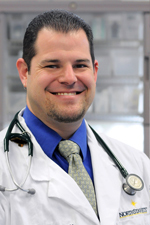 We caught up with Dr. Stobie, who was checking in on a patient. 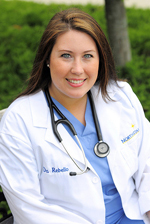 Dr. Stobie grew up right here in New Jersey before going on to college here. “I’m a New Jersey native,” he began, “and I went to Rutgers University for undergraduate studies. Unfortunately, New Jersey does not have a veterinary school, so I had to go out to the Midwest. 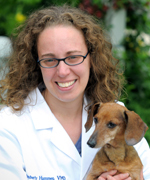 I attended veterinary school at the University of Missouri and then I did my internship at the Angell Memorial Animal Hospital in Boston. 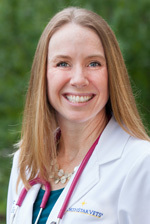 After that, I did a three-year surgical residency and master’s degree program at the University of Minnesota College of Veterinary Medicine.” Dr. Stobie went on to become a surgeon, and worked at hospitals in New York and New Jersey before opening his own practice that would go on to become NorthStar VETS. 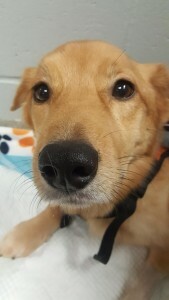 Otis needed a blood transfusion and came to NorthStar VETS. Dr. Kimberly Hammer of the Internal Medicine team and head of the NorthStar VETS blood bank, brought in her own cat, Cooper to help. 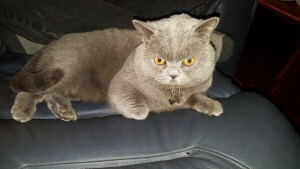 Cooper is a British Shorthair, and has the less common Type B blood that was needed to successfully treat Otis. 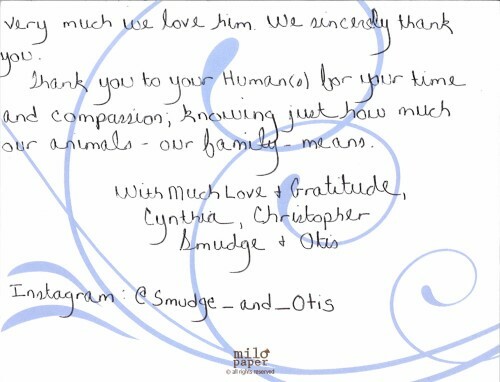 After Cooper made his contribution, it was given to Otis, who is now back home happy and healthy. 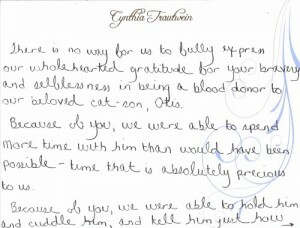 His cat-mom sent this lovely letter to Cooper thanking him for his kind act. The NorthStar VETS Blood Bank for Dogs and Cats helps many patients throughout the year. See if your pet is eligible to become a blood donor at NorthStar VETS. John, a third-generation farmer and retired mechanical engineer and his wife Ginny, a teacher, own a small twenty-acre family farm in Wading River on the east end of Long Island. 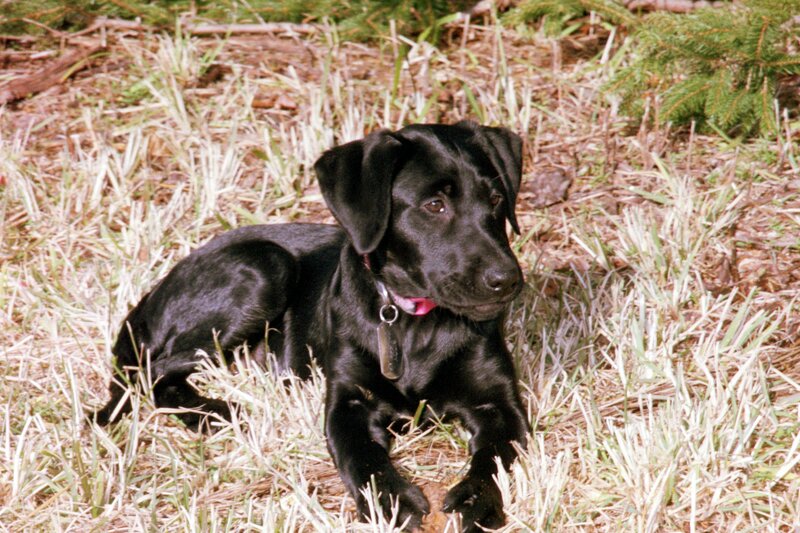 Last spring, they lost their 10 year old American Field Lab Sadie to cancer. Life wasn’t the same without her. 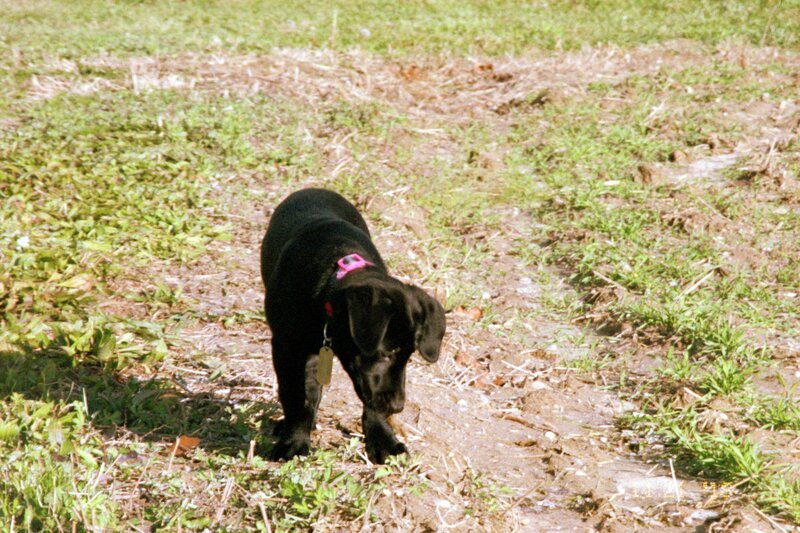 She was John’s sidekick and loved the farm. After about 8 months of looking for a puppy they found Biddy, an eight-week old American Field Lab puppy. Biddy loves the farm and enjoys running, digging and smelling everything. When the work boots go on Biddy knows where John is going, and she knows that she is on the way for another adventure on the farm. At the end of one particular day, Biddy was limping a little, so John and Ginny brought her to see the family veterinarian. 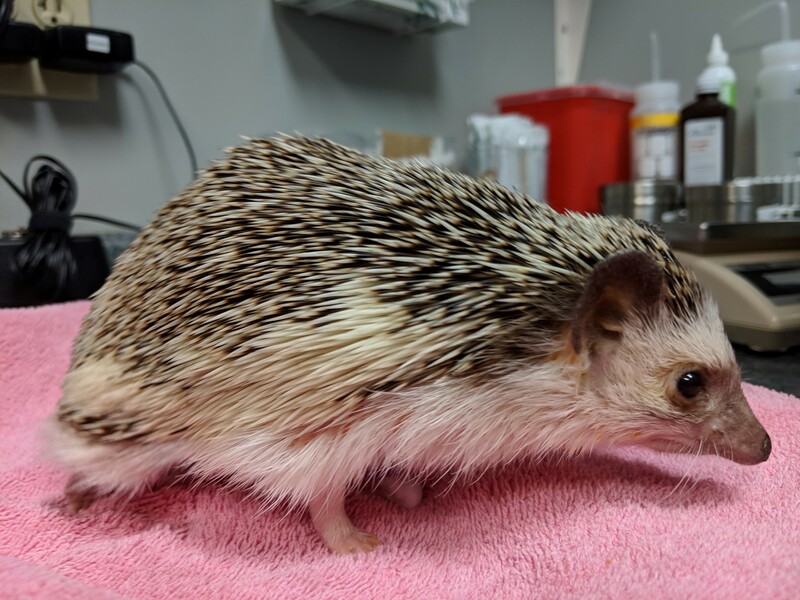 They got X-rays of Biddy’s back legs, but it was too difficult to see what was wrong. They sent the radiographs to a Radiologist for review and that’s when they suspected Biddy had a torn Cranial Cruciate Ligament (CCL). A local veterinary Surgeon offered to perform the surgery, but John wanted to get a second opinion, and brought Biddy to another veterinary practice. 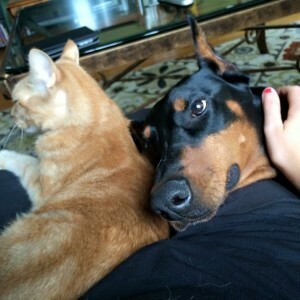 The second doctor agreed with the torn CCL diagnosis, so John then reached out to his breeder. 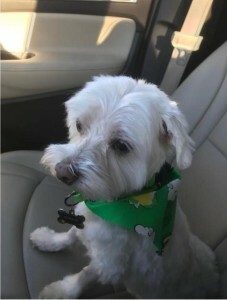 The breeder from which Biddy came recommended that John reach out to NorthStar VETS. He did, and spoke with Dr. Daniel Stobie of the NorthStar VETS Surgery team. 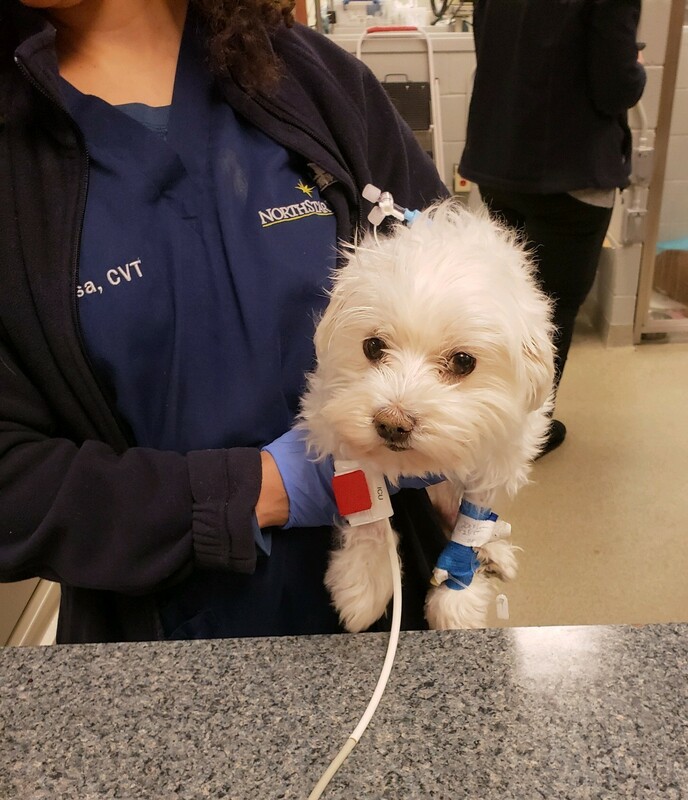 Dr. Stobie requested some additional X-rays of Biddy’s legs along with a CT scan to get a good look at what was going on. The diagnostics revealed that Biddy had not just one, but avulsion fractures on both of her knees. 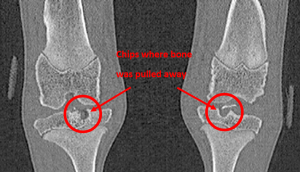 That means that little chips of bone were pulled away by the ligament and were sitting inside her knee joint. 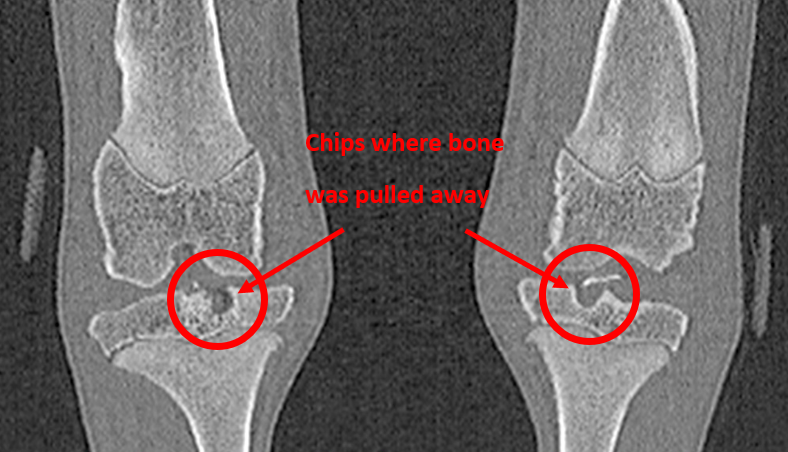 In puppies, the ligament is actually stronger than the bone until their skeleton matures, so when an injury occurs, the ligament can pull pieces of the bone apart. John and Ginny were shocked at this point, because all of the vets they’d seen and breeders they’d spoken with up to this point had never seen this in a four-month old puppy. Feeling confident in Dr. Stobie, they moved forward with plans for surgery. They drove down to central New Jersey from eastern Long Island on surgery day feeling good about their decision. 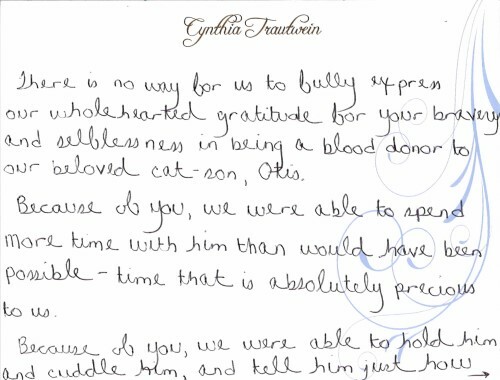 “Biddy is our baby,” said Ginny, “and means so much to us. 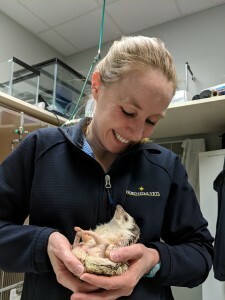 Now that our children are grown, John wanted another work partner and I love snuggling her at the end of the day.” They spent the day waiting at the hospital while the surgery was performed and the stress of it all finally caught up with them, but eventually Dr. Stobie came to them with good news: the surgery was a success! Since Biddy is a young puppy and her growth plates are still open, the surgery team could not perform a TPLO (Tibial Plateau Leveling Osteotomy) which is one of the best procedures for repair of cruciate ligament injuries in large breed mature dogs. 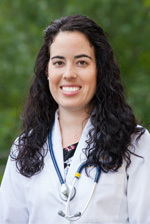 Instead, Dr. Stobie employed an innovative technique called Proximal Tibial Epiphysiodesis to help Biddy. 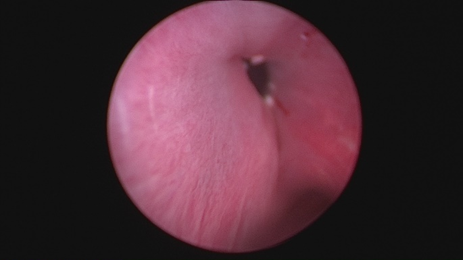 First, the bone chips were removed minimally-invasively with arthroscopy. Then screws were guided with fluoroscopy (like a live video X-ray picture) into place face down into the top of each tibia. 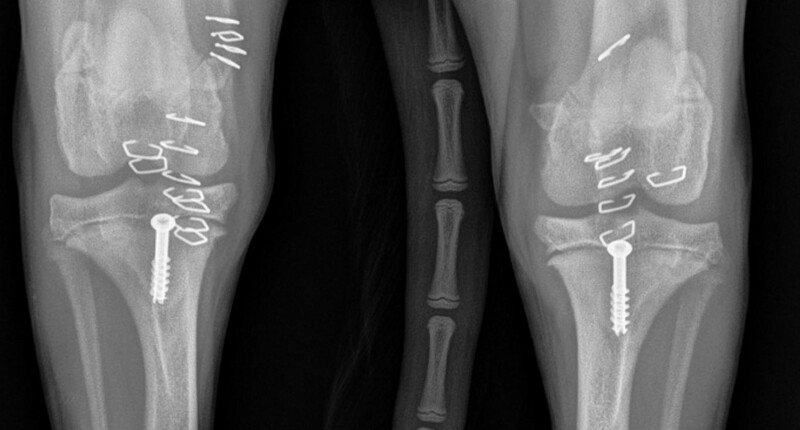 As Biddy grows, the presence of the screws will help change the slope of the top of her tibia and eventually have the same result as a TPLO performed in a mature dog. 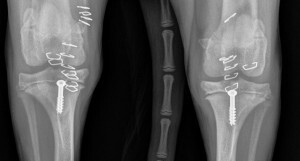 This technique was chosen because of Biddy’s young age and CCL tear diagnosis, and because it is less invasive with a shorter recovery time than other types of corrective knee surgery. “We love NorthStar VETS.” said Ginny. 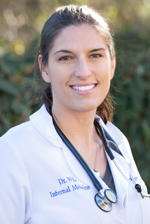 “We felt good about coming here for Biddy’s surgery and knew that Dr. Stobie would do a good job for her. We are so relieved now that it is behind us and now John will have Biddy by his side again.” John echoed the sentiment. “Our anxiety about Biddy’s unique situation instantly disappeared after we met and talked with Dr. Stobie. His natural ability to converse and answer our questions and explain in great detail helped us to feel at ease and gave us the confidence that he would be able to help Biddy. 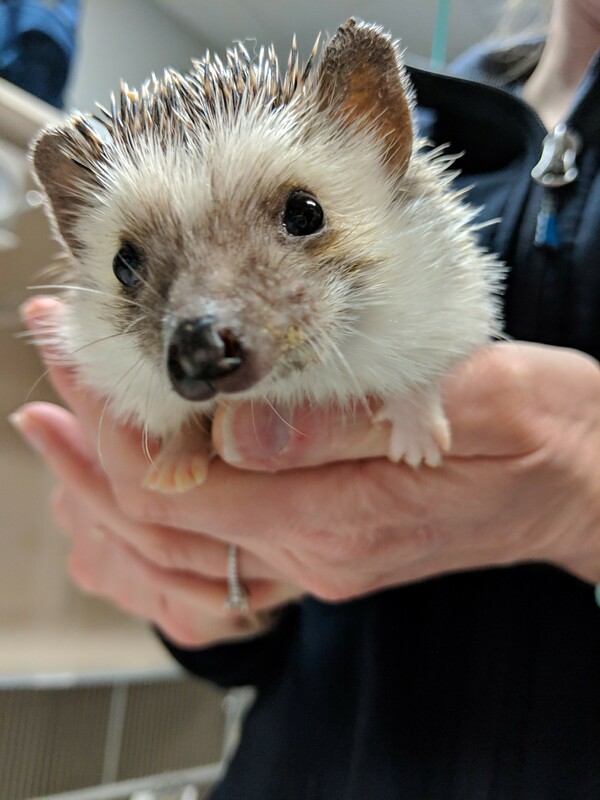 We were both very impressed with the personal treatment that was shown by Dr. Stobie towards us, and the amount of time that Dr. Stobie spent with us going over every detail of his treatment for Biddy. 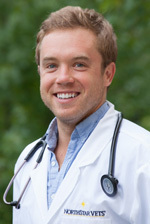 His dedicated skill as a doctor and the great care that he has for both his patients and their owners are what impressed us both.” John is in the process of turning over the farm to its fourth generation as his son gets more involved, but he’ll always have Biddy with him even if he isn’t covering the twenty acres every day. Dobby is a Chihuahua born with deformities in his upper legs. 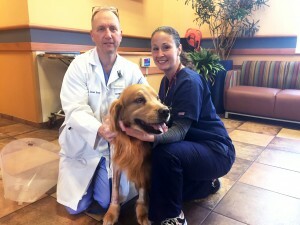 Through advanced veterinary medicine, Dr. Daniel Stobie of the NorthStar VETS Surgical team used 3D printing as a tool in helping this dog have good legs to stand on. Dobby had trouble walking normally as a puppy, and as he grew, the problems became more pronounced. 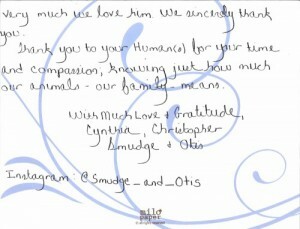 His mom, Lori, shared her experience. 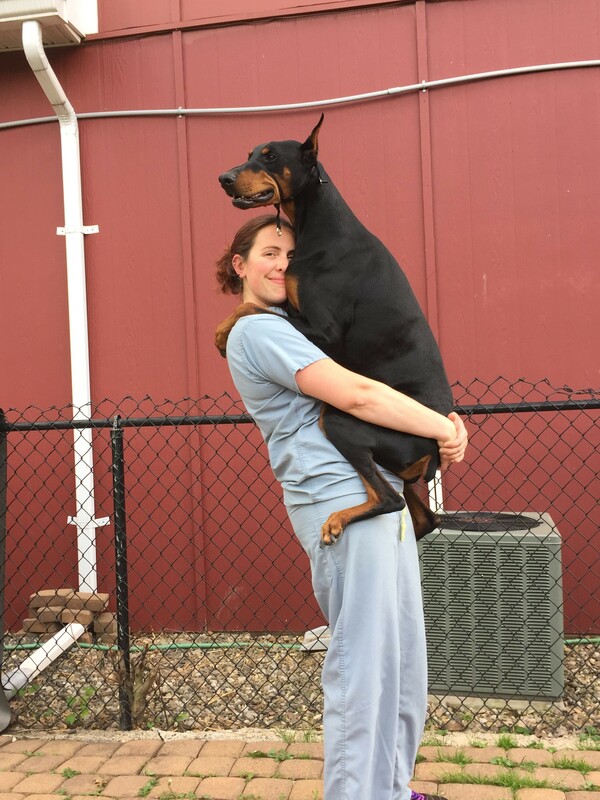 “By the time he hit about a year old, we realized there was something seriously wrong with the left leg, not realizing there was anything wrong with the right leg.” Doctors soon determined just how serious Dobby’s problem was.